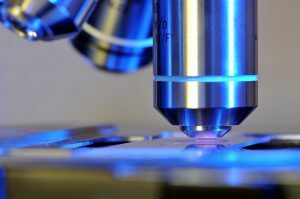 Biopsies are frequently used as a tool to monitor whether cancer treatment is working and whether the disease has developed resistance to current treatment. But researchers have been looking for a less invasive way to achieve the same end. A new study, led by physicians at the National Cancer Institute, found that a blood test that looks for the presence of DNA from the cancer could offer an option other than traditional biopsy for patients undergoing treatment for some types of cancer. The small study focused on a group of 126 patients who were diagnosed with the most common form of lymphoma, diffuse large B-cell lymphoma, between 1993 and 2013. Researchers retrospectively examined patient blood samples and concurrent CT scans that were taken at regular intervals during each patient’s treatment and for up to five years after treatment was completed. The blood samples were examined for the presence of circulating tumor DNA in the bloodstream using what the researchers describe as next-generation DNA sequencing. They found that this test predicted recurrence of the disease three months before clinical signs of recurrence could be found via CT scan. In addition, the researchers discovered that when circulating tumor DNA was present during treatment, it was a strong indicator that the current therapy would not be effective. Another research team from Sweden recently presented the initial findings of a study of the accuracy of this “liquid biopsy” approach for determining whether non-small cell lung cancer with a particular genetic mutation will respond to treatment with the medication crizotinib. The findings were presented at the April 2015 American Association for Cancer Research meeting in Philadelphia. The study, which included 77 patients, focused on a genetic mutation that results in EML4-ALK gene fusion rearrangements in the tumor. The tumors of some patients with this mutation eventually develop resistance to the drug. The researchers were looking for a method that was less invasive than traditional tumor biopsy to monitor the presence or absence of biomarkers that could indicate that the cancer was becoming resistant to crizotinib. Using DNA sequencing, the study found that if the researchers detected EML4-ALK in blood samples before therapy begins and if it does not disappear during treatment, the patient is not responding to the drug. Using that information, physicians can perform what the researchers call “real-time monitoring” of the cancer and earlier detection of resistance to treatment with crizotinib so that they can try a new treatment approach sooner. In addition to the fact that this blood test was able to find evidence of cancer recurrence three months before other diagnostic tests did, it offers patients a far less invasive way of monitoring the disease. Because the test uses a simple blood draw, it can be repeated more frequently to increase surveillance of the disease and treatment. If used in place of a CT scan, the patient has the option to avoid exposure to radiation, a concern for some people with cancer. The test would also help patients avoid side effects associated with continuing a treatment regimen that was not effective. While significantly more study is needed, these studies suggest that using this blood test to find cancer biomarkers may one day provide physicians and patients with another layer of information that can help them make more personalized cancer treatment decisions. To make sure that you have access to the latest information and evidence-based treatment options when deciding which treatment is most appropriate, you can talk with a health advisor. An advisor can connect you with experienced specialists, relevant clinical trials, and access to the most current research explained in language that you can understand.